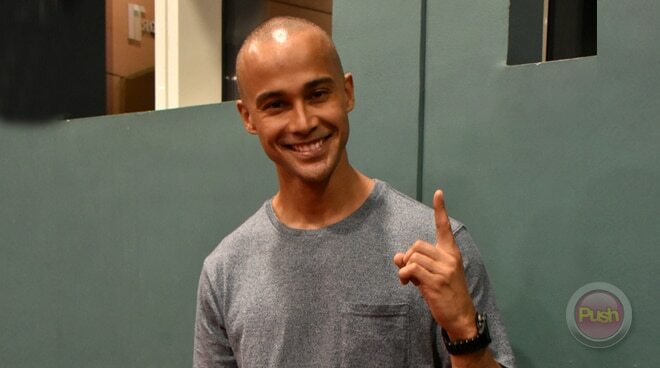 Will Devaughn says it’s a dream come true to be cast in the Bell Films comeback project. After starring in the romantic film I Found My Heart in Santa Fe last year, Will Devaughn said he is happy to finally get the chance to realize his dream of being part of an action film in the Bell Films comeback project Kontradiksyon. “Pangarap ko talaga na role na ganito, na martial arts and action film. Sana the Philippines is ready for an evolution of action films and the next level of action films I think the people are ready for. Usually yung mga roles ko sa movies boy-next-door or puro mga rom-com. No one has really seen me in an action film where I play a different character. I think it’s going to open a lot of new doors, not only for myself but a lot of my cast members as well too. Nakaka-excite ang panahon ngayon honestly,” he shared. In the film, Will will work closely with Jake Cuenca as a drug enforcement agency officer. Their shooting is set to start in a few weeks. “I’m a PDEA agent here. I’m a good guy here. Wala pa ako taping. Actually next week pa yung first day ng taping ko with Jake Cuence as well. We worked together naman before in Cover Boys (laughs). Sobrang tagal na yun. Pero it’s going to be amazing because he’s a really good friend of mine and now we’re going to be working together in a film so even that’s a film of mine. Nakaka-excite to be able to work with Jake and the entire cast of this film. It’s something different, it’s something refreshing that’s never been seen before. It’s going to be able to shed a lot of light in a lot of dark places where we are right now sa Pilipinas,” he explained. Will said he is also excited to work with their multi-Palanca award-winning director Njel De Mesa who is also a songwriter, a teacher, a professional theater actor, and a published book author. “Love ko rin si direk Njel. Ang galing niya mag-isip. He’s really a genius and I respect him. I idolize him all honestly. He’s something else. He can do everything. He can direct movies, he can create music, he edits his own work. Direk Njel de Mesa, hats off to him,” he added.